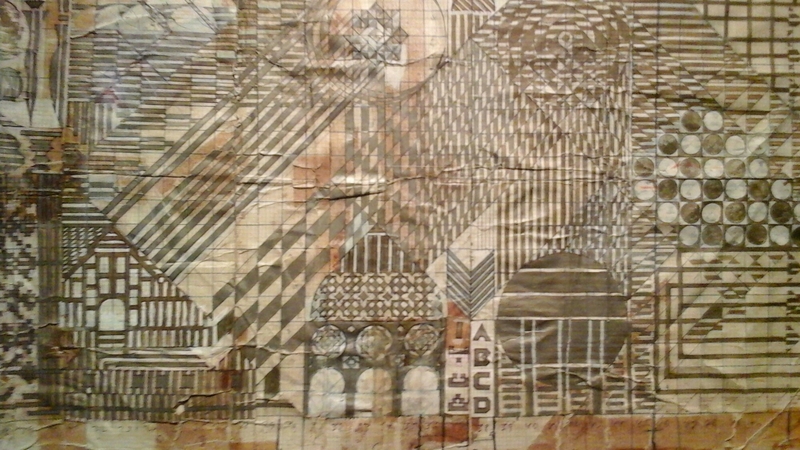 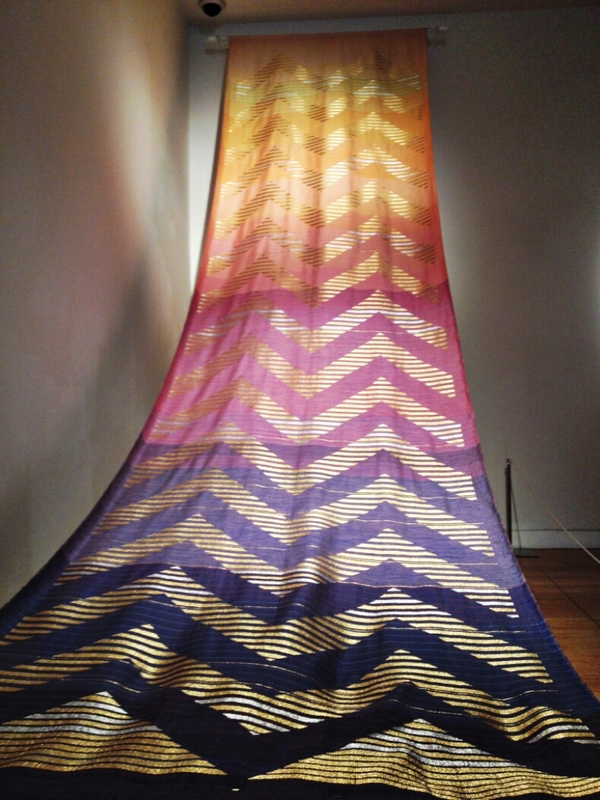 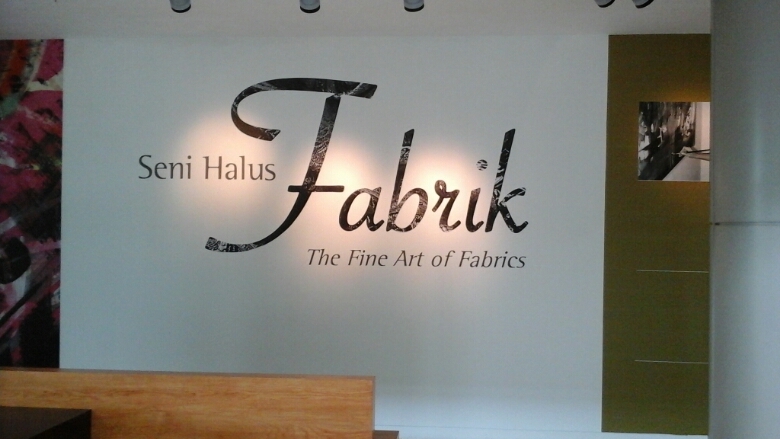 I happened to stumble upon an art exhibit at the Bank Negara Malaysia Museum and Art Gallery on the Fine Art of Fabrics. 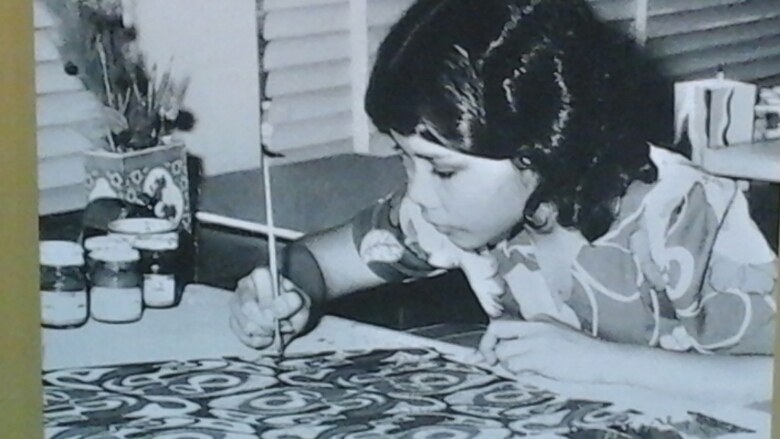 I felt really excited about learning more about the history of Batik since I had taken the class. 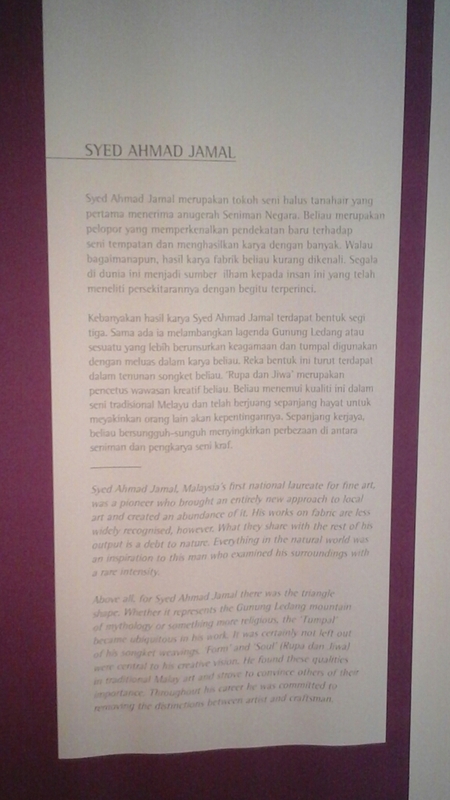 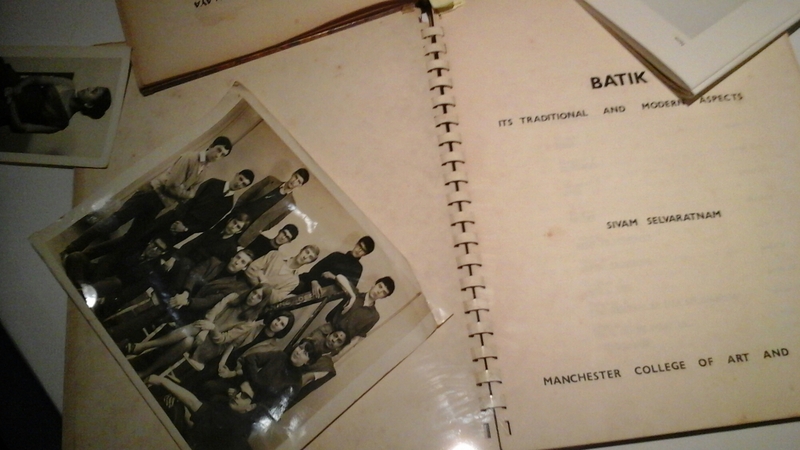 This is the first time there has been an exhibit of this kind in Malaysia. 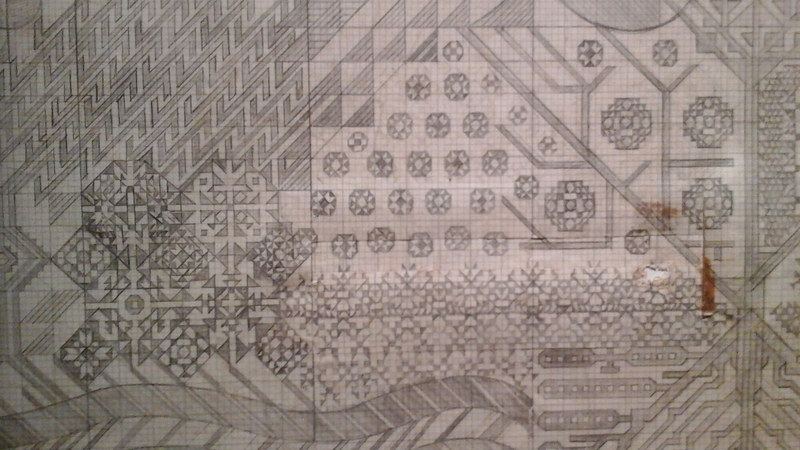 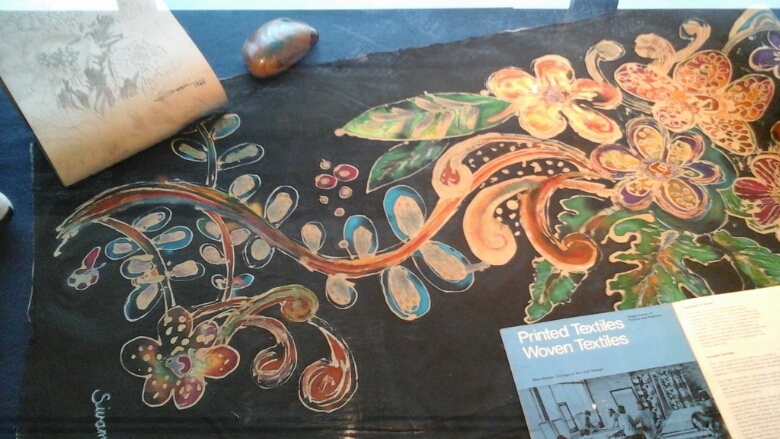 I love the hand painted painted techniques of drawing out the design and then making the design come to life with paint on fabric that are still used today. 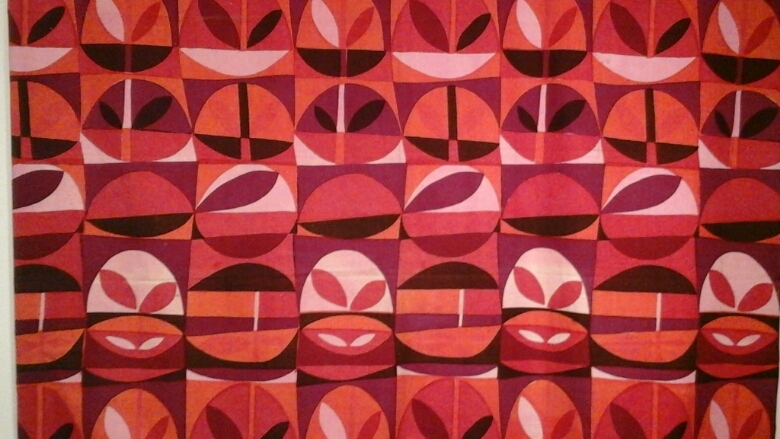 This 1960’s design is still popular today. 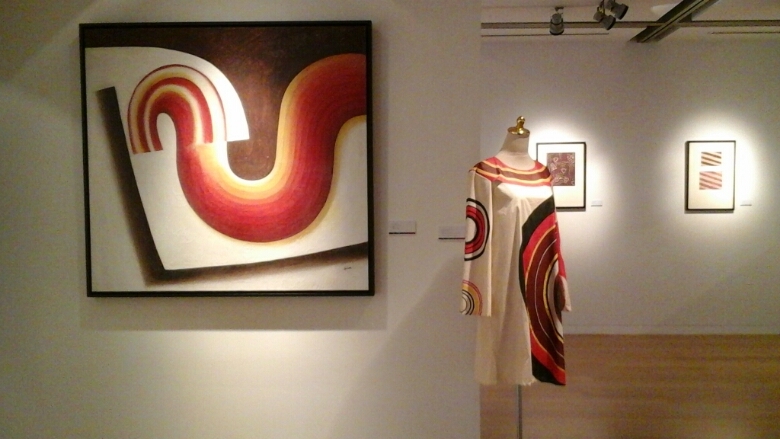 The colorful design looks good as a painting and great on this dress. 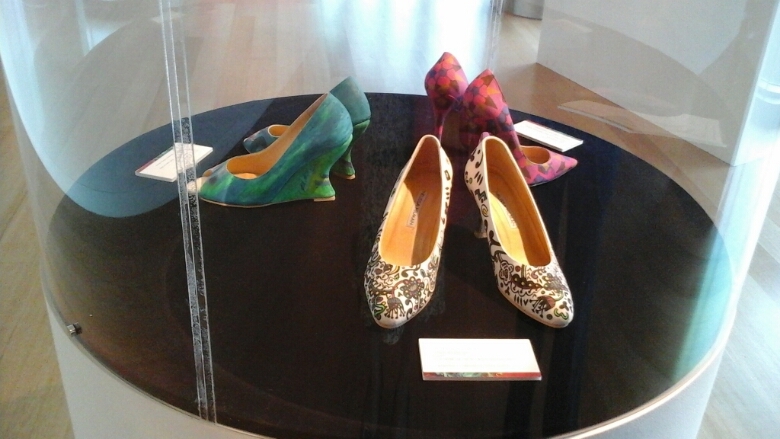 More Batik incorporated into fabulous shoe designs. 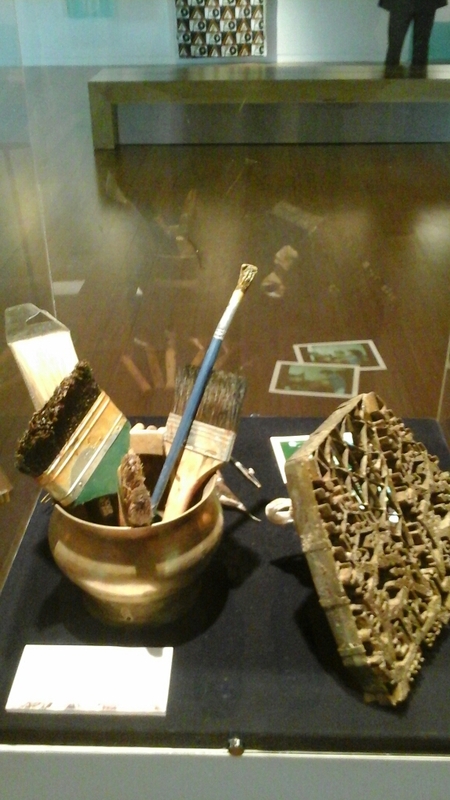 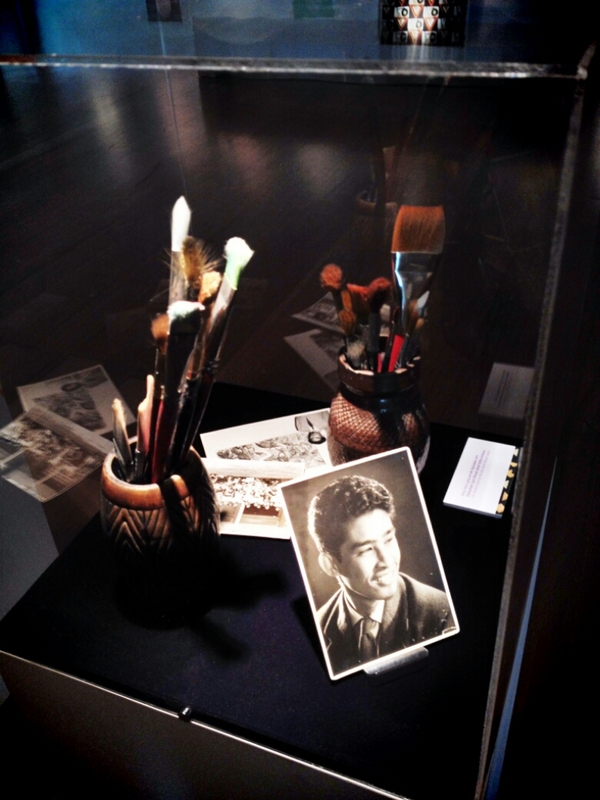 Here’s one of the master’s of Batik, Syed Ahmed Jamal along with his tools. 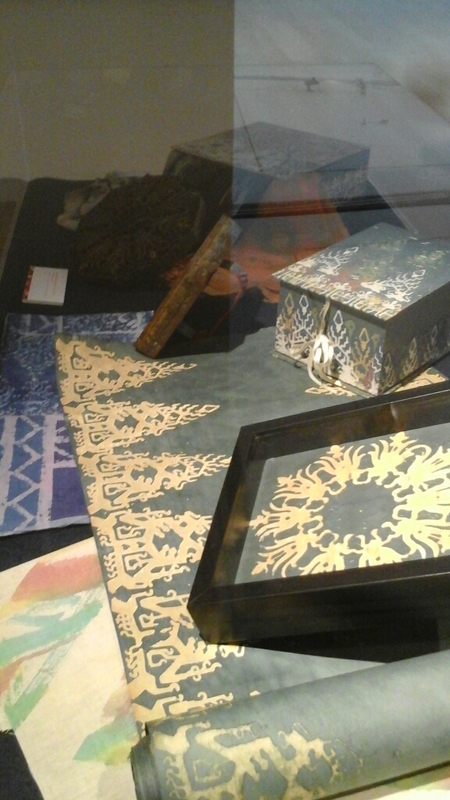 I’m loving all of the Batik designs!